Journeyman training classes are available for all Journeymen who are in good standing with LU 539. Open registration dates are July 15 through September. Registration forms submitted after September are only accepted if the requested class is scheduled and not full. City and State Code classes will be offered to all Journeymen, but City and State Tests are limited to those who have the required experience and can meet specific requirements. UA Welding and Brazing certification tests will be offered on a as needed basis, when the required minimum number of applicants is met, a test session will be scheduled. 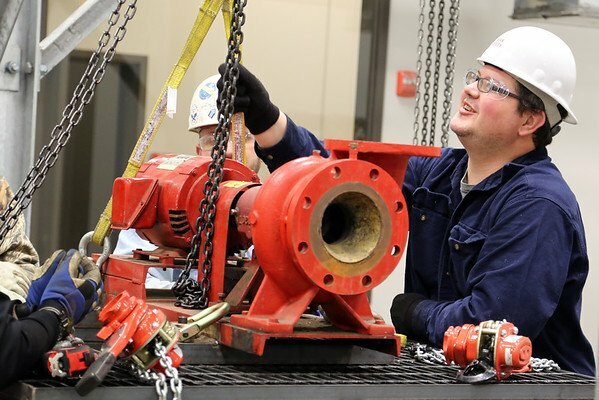 Please review the UA Weld Test Program to determine which test you want to take, and then call the training center to get your name on the list. Once a test date is scheduled you will be notified of the date and time. Prior notification to the training center is required to be eligible to participate in the open welding session. Call (763) 533-5514 to reserve. 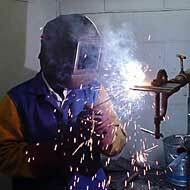 Open welding is limited to competent journeyman welders. The purpose is to provide an opportunity for welders to practice their welding skills prior to being referred out as a welder. Call (763) 533-5514 to reserve. Please call the training center a MINIMUM OF ONE DAY prior to the scheduled Open Welding Session. The slots are filled on a first come, first served basis. Participants are limited to one session per day. – Afternoon Session 12:00 noon to 4:00 p.m. If you need to make other arrangements, please call the training center and ask for Bill. You are required to bring your own PPE equipment. Please enter through the Student Entrance on the east side of the building.